Located near Dashdrone Bus Stop in Krishna Kunj, Sima Hospitality stays true to its name and offers premium service. 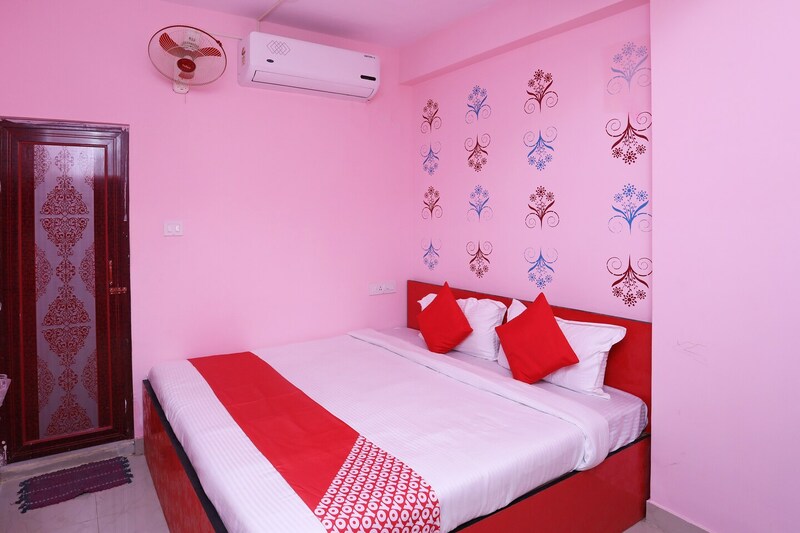 Enjoy a pleasant stay in cosy and bright rooms. The walls are painted in bright shades and decorated with beautiful textures adding to the charm of the decor of the room. Provision of comfortable wooden furniture makes for a relaxing stay. Stay comfortable with the availability of various amenities in the rooms. Food O Holic, The Tibetan Flavours, Chefs Kitchen, Bijoli Grill Food Corner and Love U Kolkata are some of the eateries located near the property where guests can enjoy tasty treats. Arman Plaza, Kalibari More, 7 wonder miniature models like The Great Wall of Chinas and Egypts Pyramid at Eco Park are some of the attractions located at a short distance from the hotel which can be explored by guests easily.